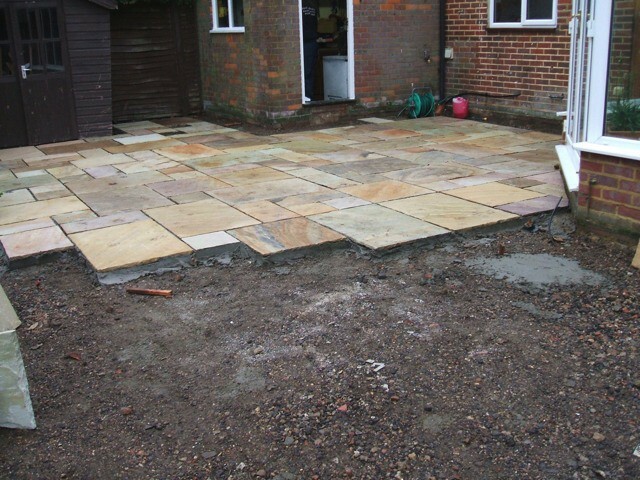 Take a look at some of my most recent projects completed for clients. 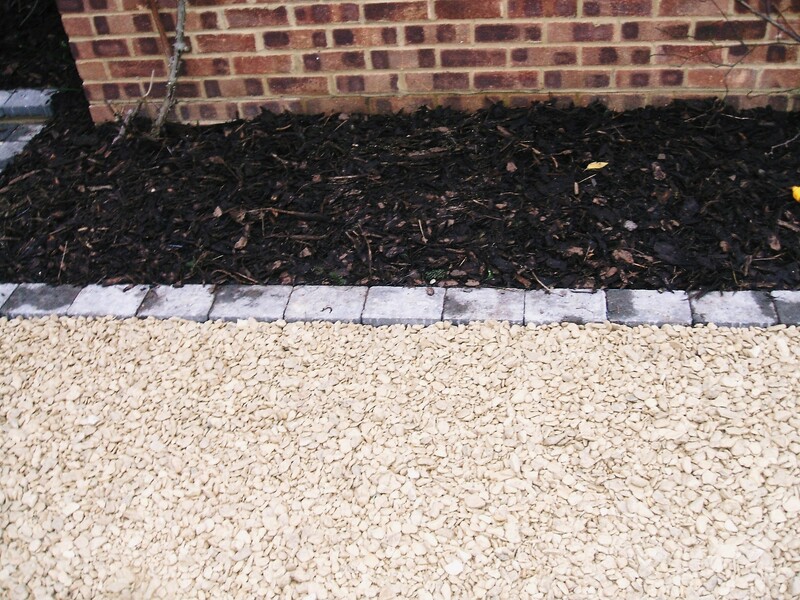 With job description, photos and testimonials. 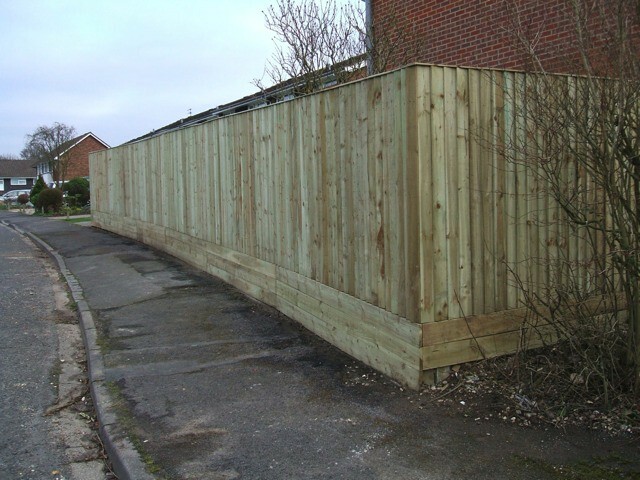 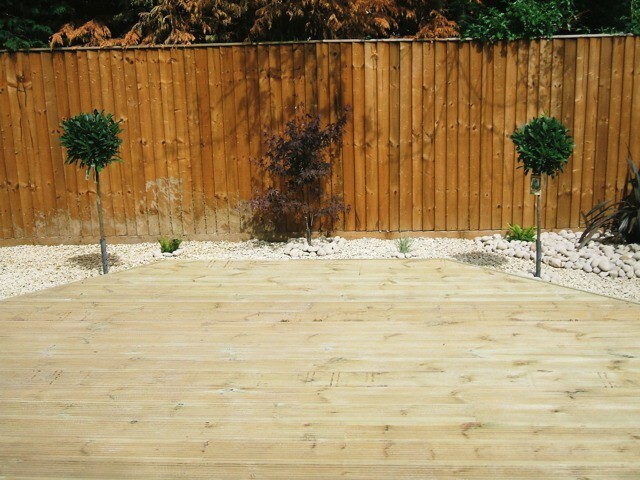 The job here was to take down the conifer trees lining the garden and replace with a close board fence. 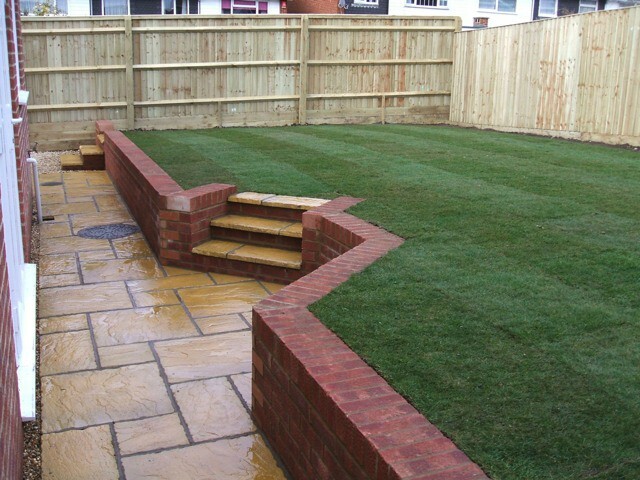 The garden was re turfed, a new patio laid and a retaining wall built. 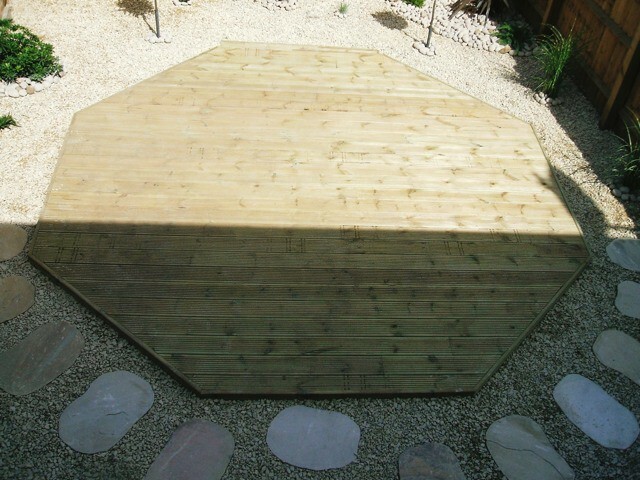 are of an excellent standard. 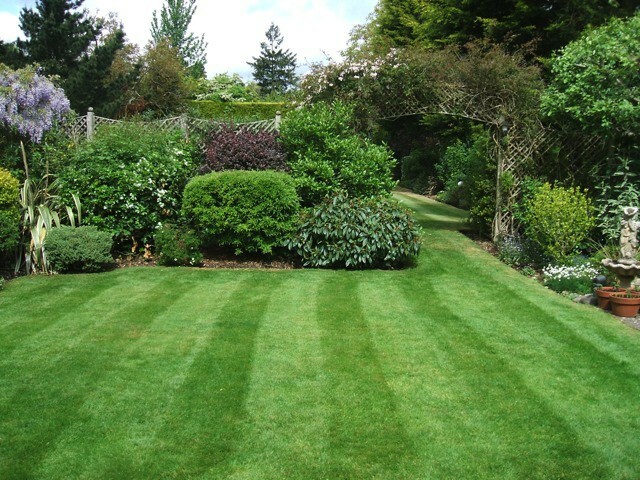 Many thanks". 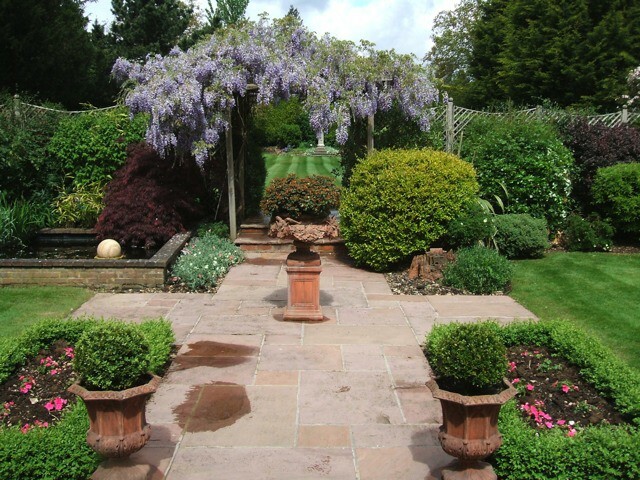 Mrs.Powle's garden is regularly maintained throughout the seasons. 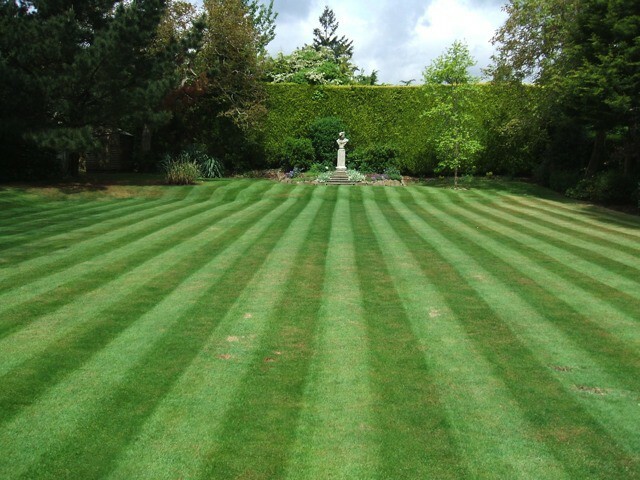 Maintenance here includes lawn mowing, strimming, hedge cutting and bed management. 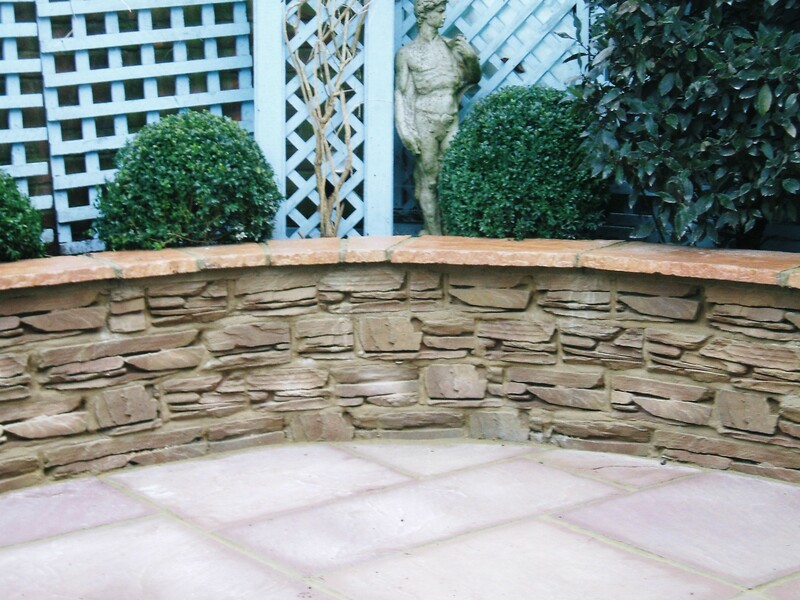 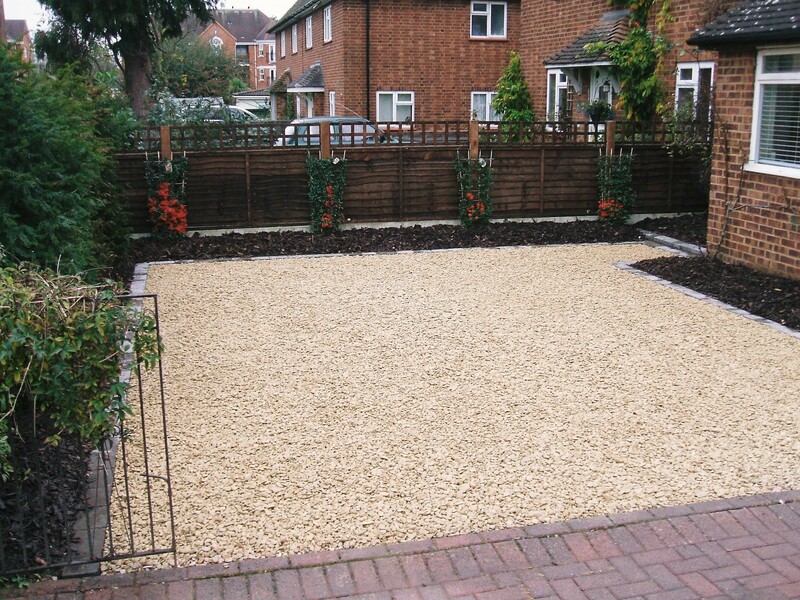 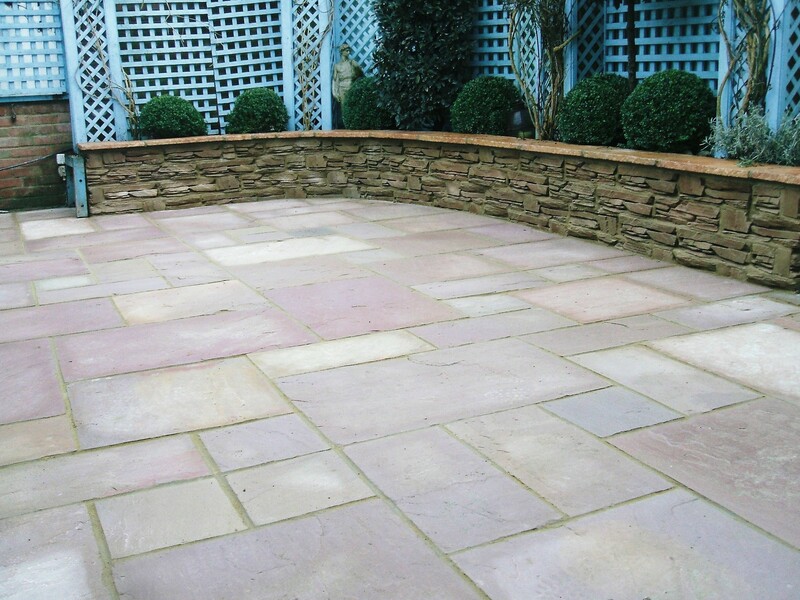 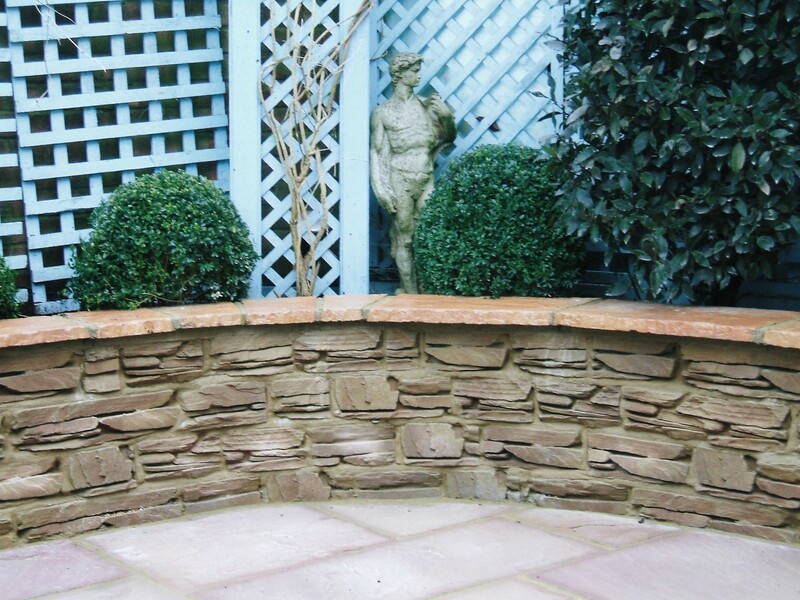 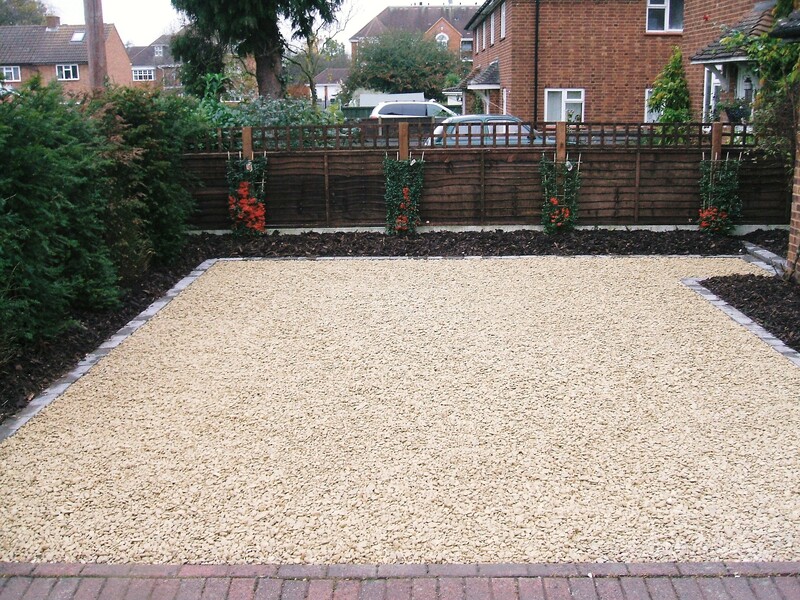 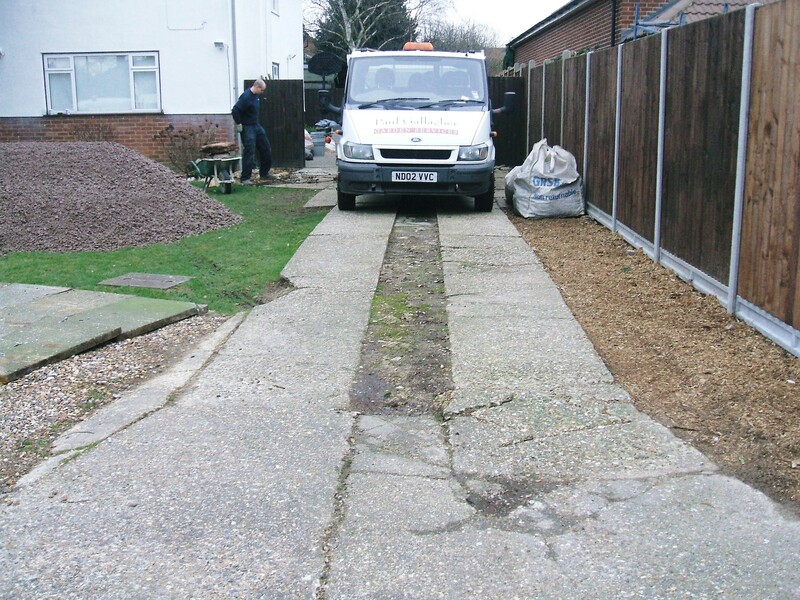 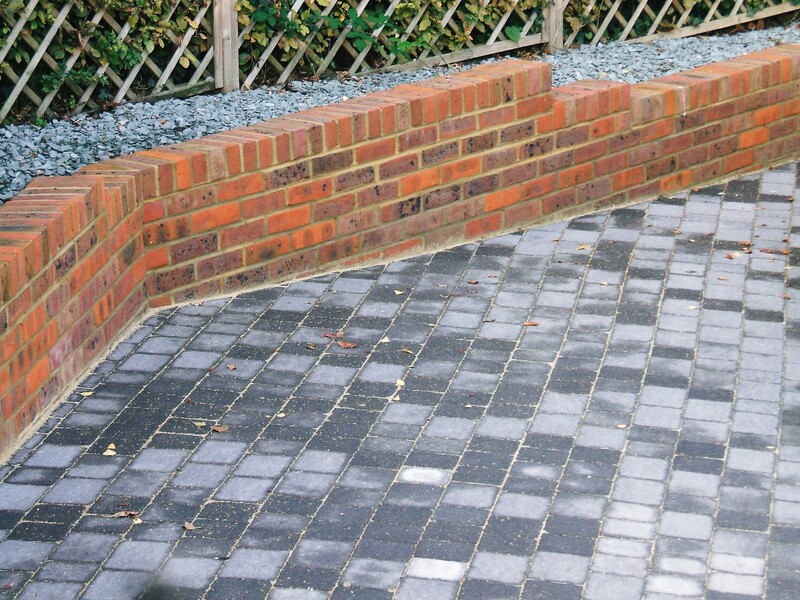 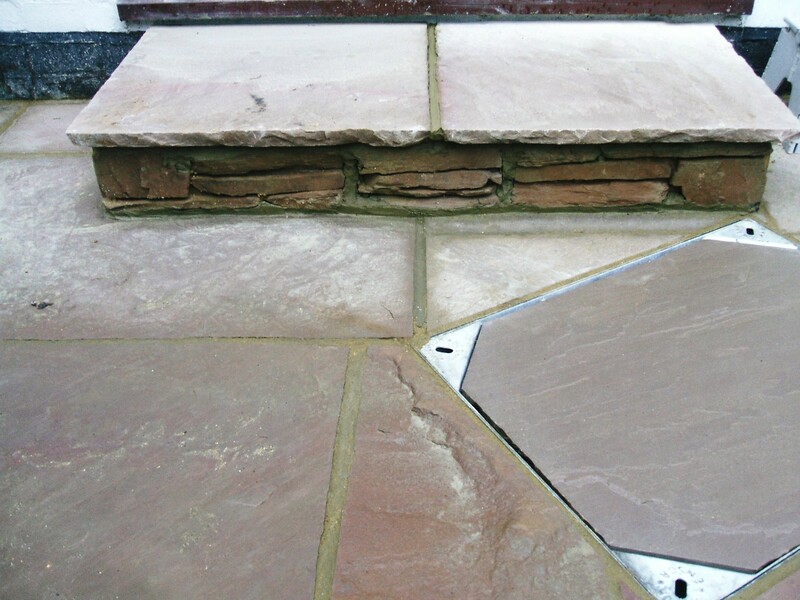 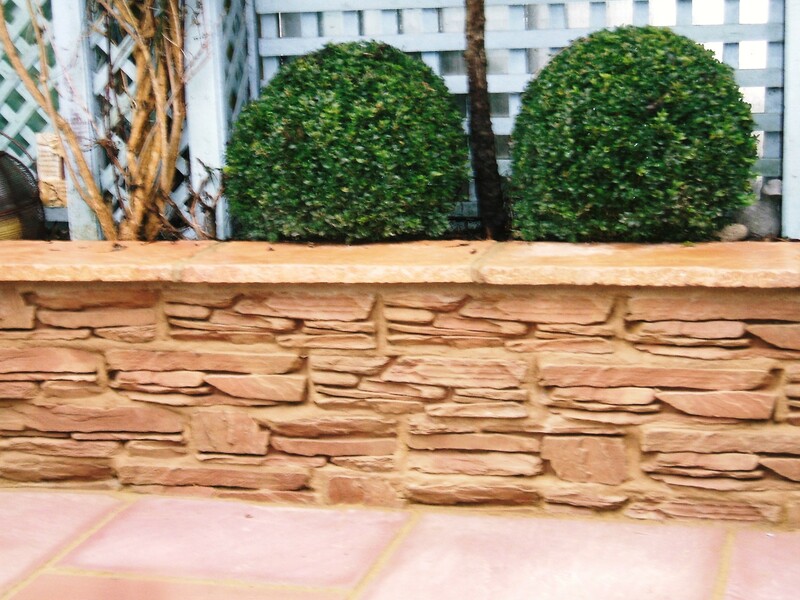 Testimonial: "I am very happy with the maintenance work carried out by Paul and his staff on my garden." 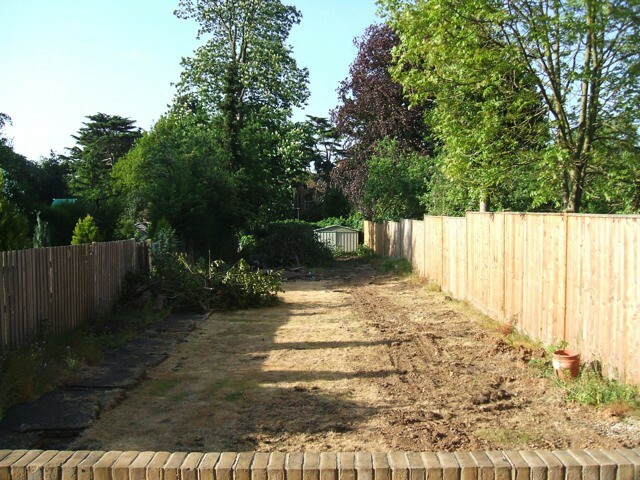 The job here was clearance of trees, shrubs and general waste . 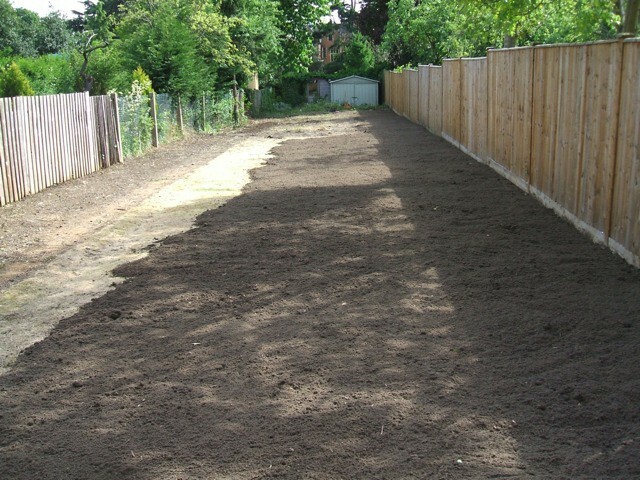 Top dressed with Grade A top soil and turfed. 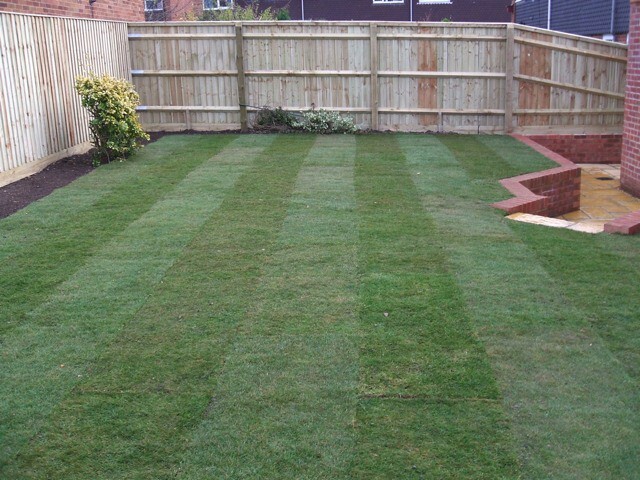 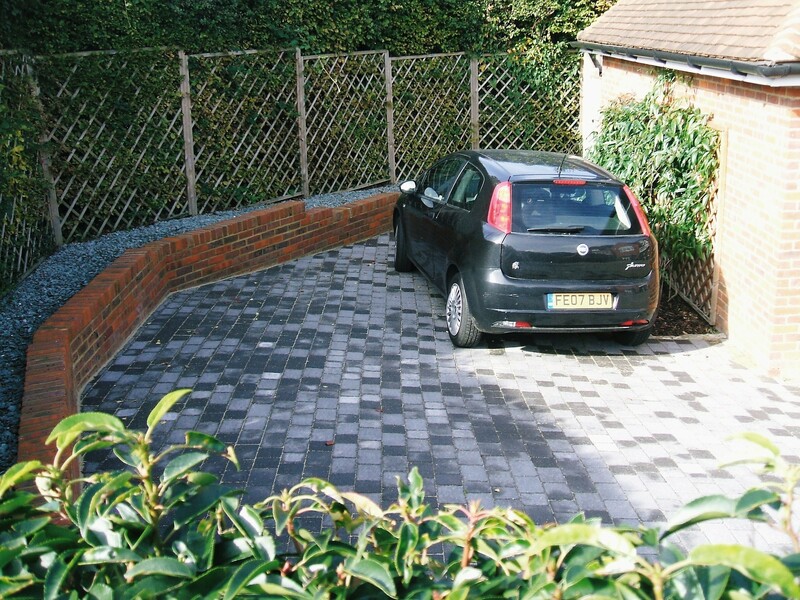 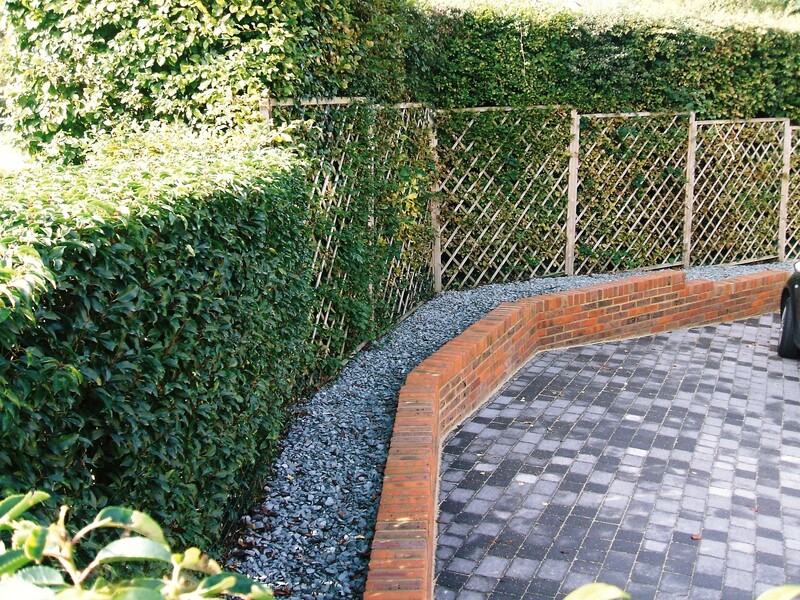 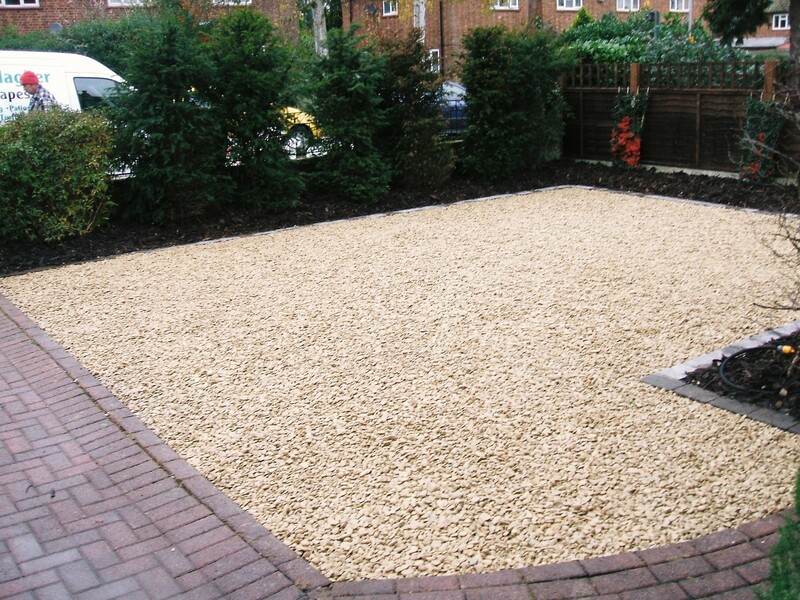 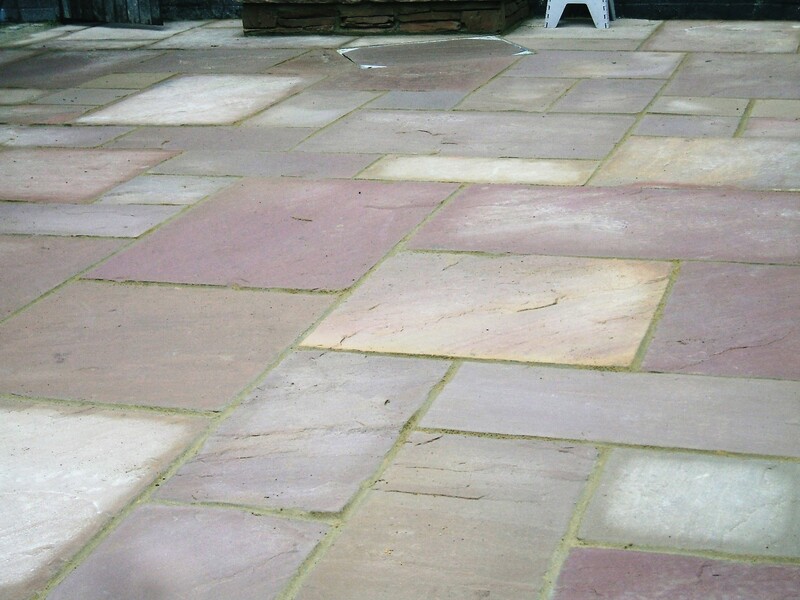 Testimonial: "The clearance and returfing was just what my garden needed. 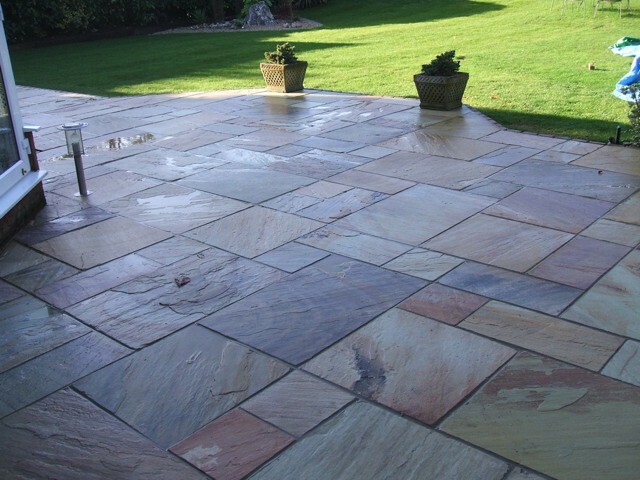 Also a very friendly and professional service. 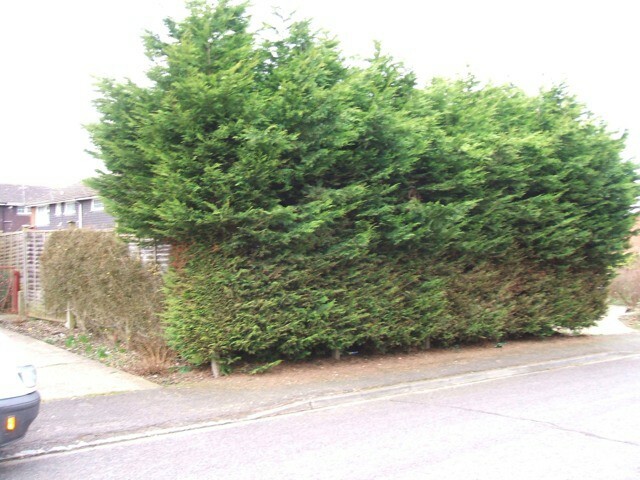 Thankyou." 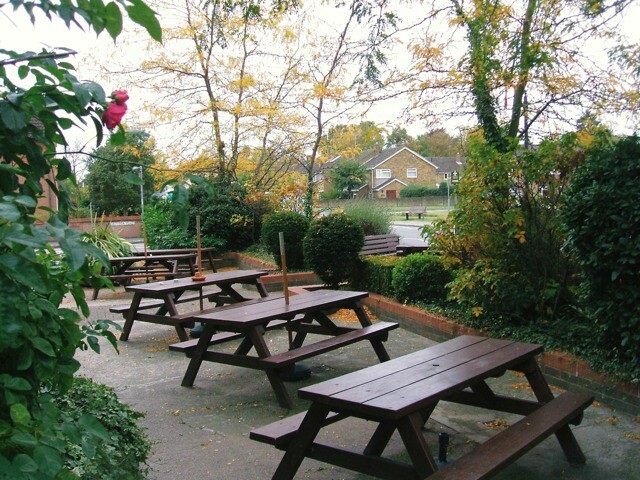 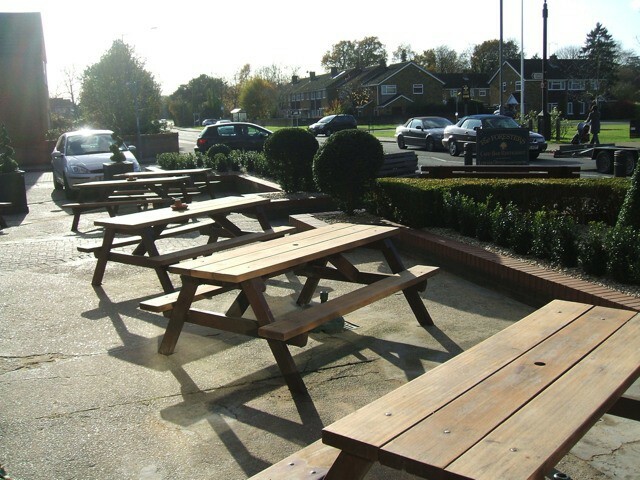 Foresters Public House, Farnham Common, Buckinghamshire. 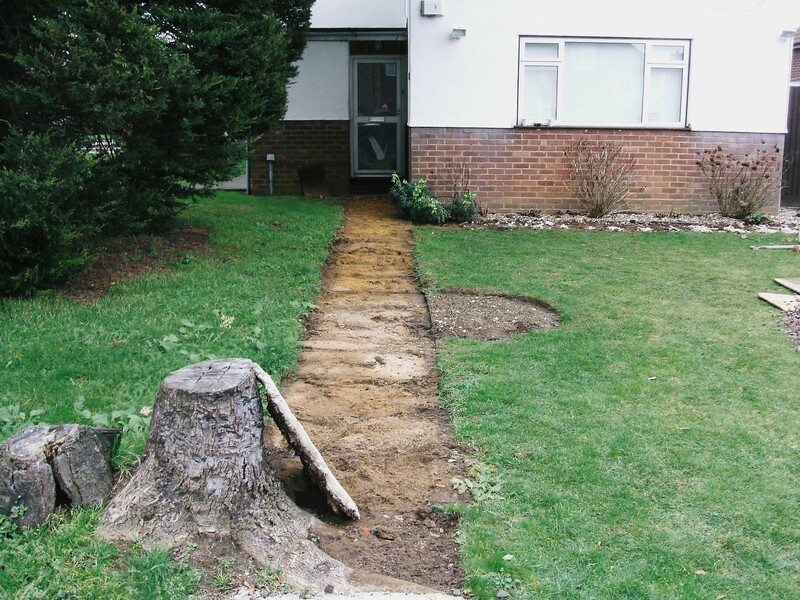 The job here was to take down existing trees and shrubs. 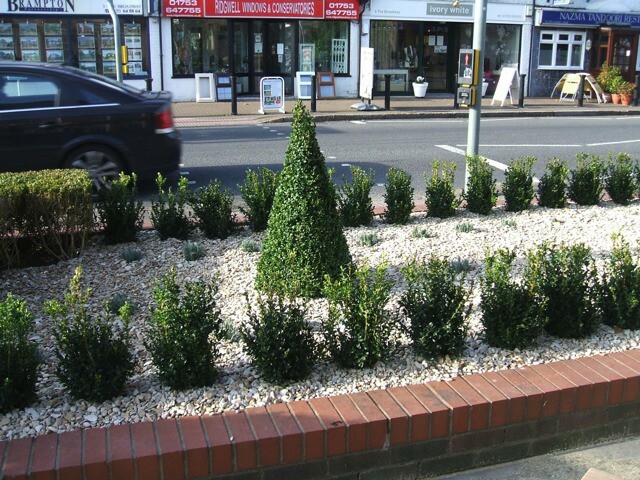 Replant with Buxus imported from Holland and also supply Mangers and Spirals. 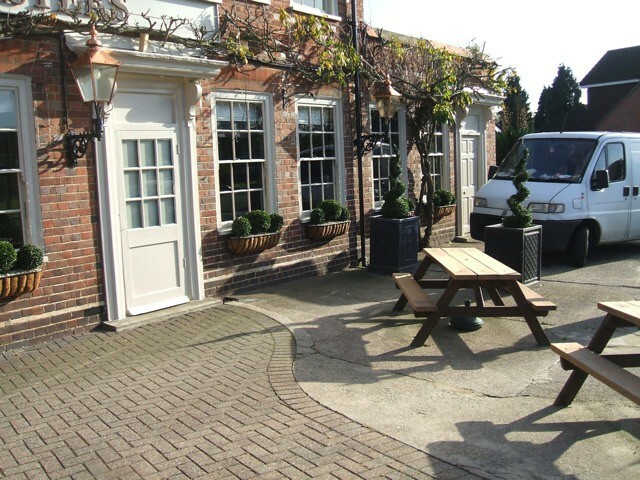 Latchmore Way, Gerrards Cross, Buckinghamshire. 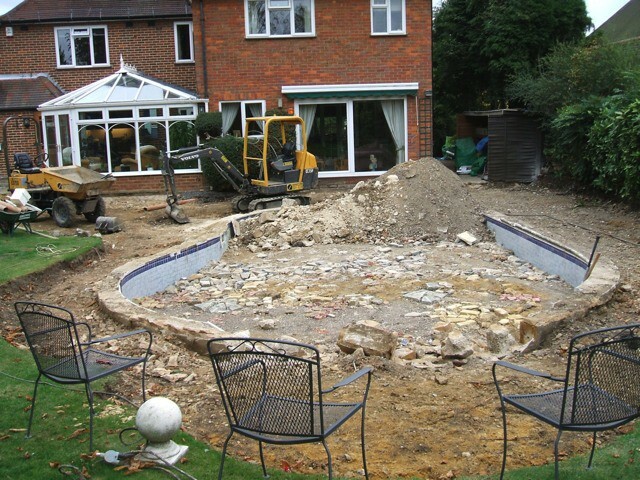 The job here was to backfill the existing swimming pool. 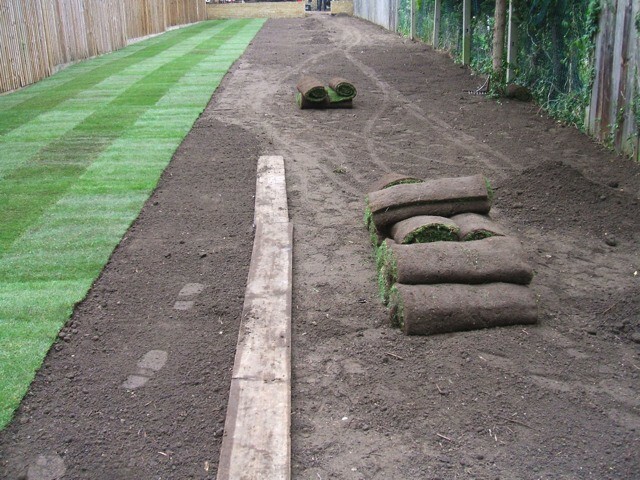 Turf and Patio. 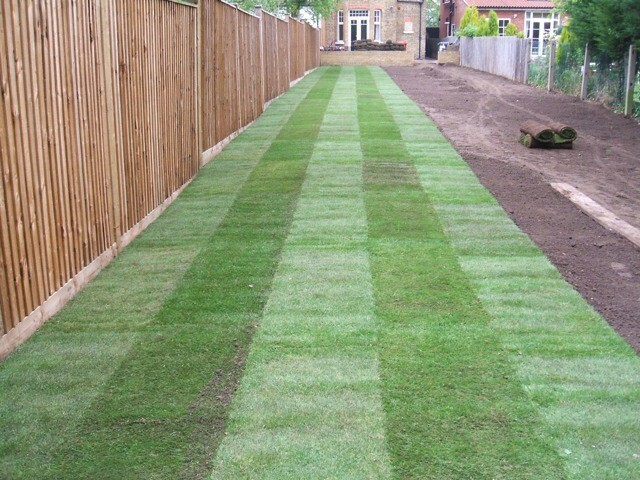 Border with sleepers. 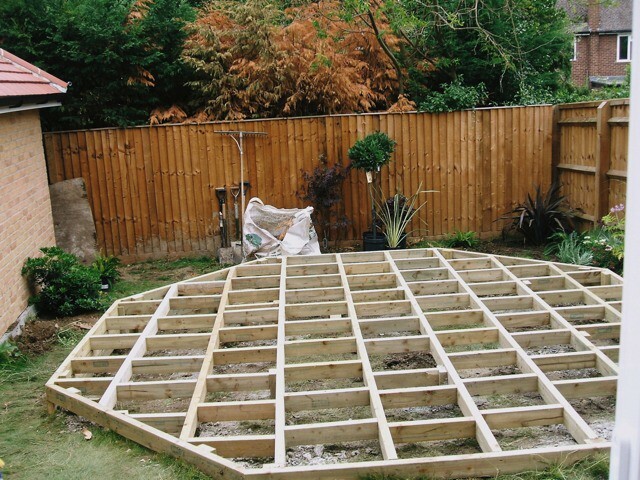 Build of decking, shingle and plant out borders. 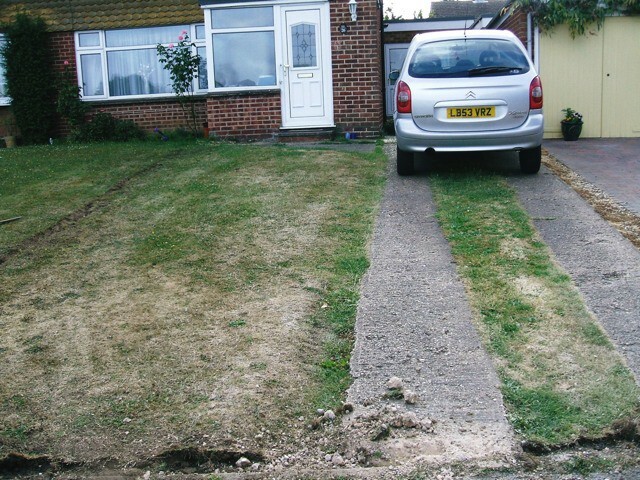 Take up exsisting concrete driveway and lawn. 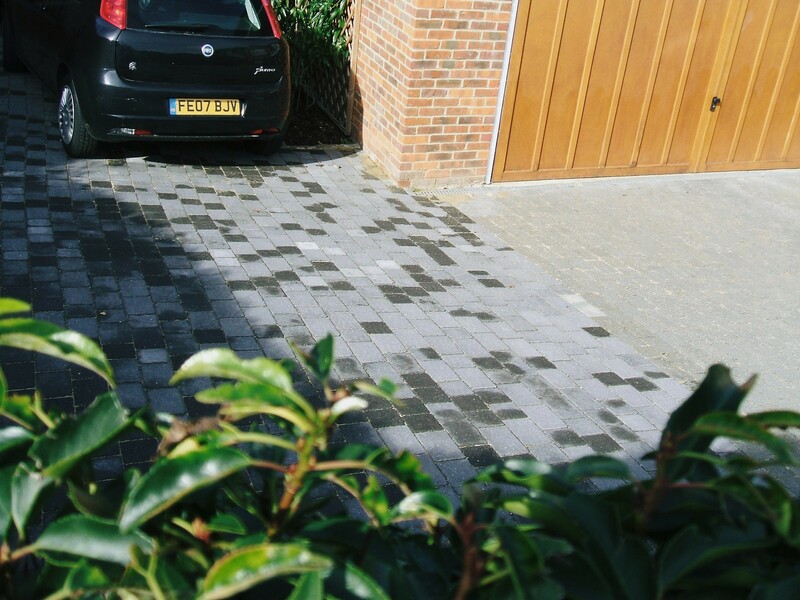 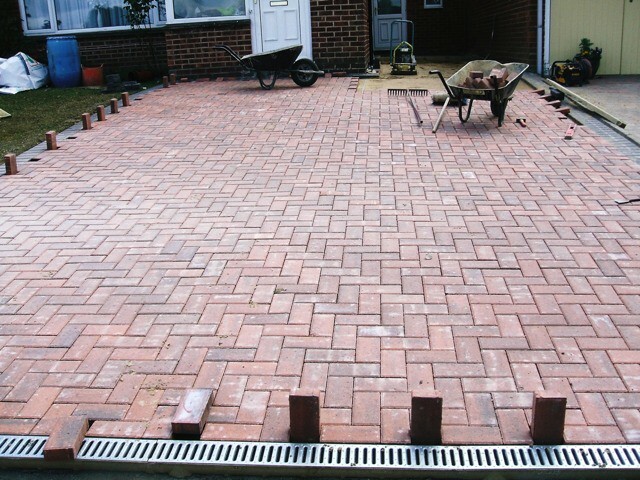 Lay a new block paving driveway. 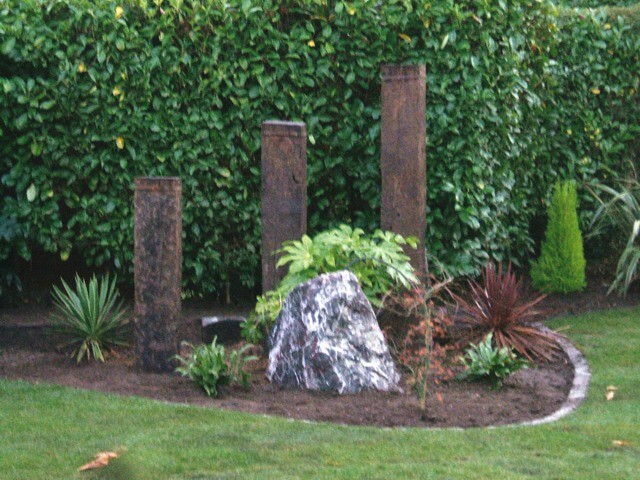 Paul Gallagher Landscapes Mixed Gallery.